San Francisco, June 12, 2018 – StratiFi Technologies Inc. today announced that it was named a finalist for the 2018 WealthManagement.com Industry Awards. StratiFi’s PRISM RatingTM software, which brings sophisticated, yet intuitive, risk management tools to advisors and investors, was selected as one of three finalists in the Technology Providers: Risk Tolerance/Client Profiling category. Finalists were evaluated on a number of qualitative and quantitative measures, including advisor survey scores, potential, scope and scale, innovation and creativity. The company’s PRISM RatingTM calculates risk scores of one to 10 for individual investment accounts, and also entire advisory practices, after analyzing a portfolio’s volatility, diversification, market risk and concentrated positions. According to WealthManagement.com, a record number of nominations were submitted this year; more than 600 entries were received from nearly 250 companies. “We are honored that our efforts to help financial advisors and investors make better decisions has been recognized by a leading industry publication and distinguished judges,” said Akhil Lodha, StratiFi’s co-founder and chief executive. WealthManagement.com will announce award winners at a Sept. 13 ceremony in New York. StratiFi Technologies Inc. helps investors make smarter investment decisions. 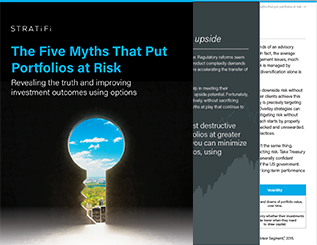 We enable investment advisors, family offices and investors to define and manage risks that are often hidden, or not well understood, within their client’s portfolios. Our PRISM Rating™ technology democratizes risk management techniques that are normally the purview of sophisticated institutional investors. By identifying, defining, and managing risks, StratiFi helps financial advisors help their clients, and also protect and grow their practices. By educating clients about the realities of markets, advisors can deepen relationships, and better help investors confront the challenges of modern markets and the demands of modern life. 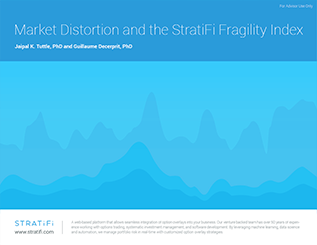 StratiFi, based in San Francisco and New York, is backed by key investors who are focused on financial technology, including Cboe Global Markets, Wolverine Holdings, and leading venture capital firms, including Anthemis Group, Khosla Ventures and Y Combinator.